The SAP Club is a student organization part of the Business Information Systems department. Our organization offer its members the latest SAP modules to gain useful experience to enhance their future career either in Business or in IT. Our organization offer its members the latest SAP modules to gain useful experience to enhance their future career either in Business or in IT. These tools allow our members to develop skills necessary to excel in the business environment. Each semester, we work on SAP projects to gain a hands on experience of what it’s like to work with SAP systems. The SAP Club was started in the Fall of 2011 by students with the desire to further their SAP skill set. AP club members immediately began attending SAP sponsored events and competing against schools like Berkley, Stanford, and Notre Dame. In the Fall of 2016, the SAP Club partnered with both the University Alliance and the Chico State SAP Competence Center to lay the foundation for NextGen Consulting. SAP is a software company from Germany that specializes in Enterprise Resource Planning and is used by 70% of the world’s business. The softwares that SAP utilizes for businesses include S4 HANA, FICO, BW, HCM, and many more. They’re used for Data Storage, Human Capital Management, Financial Analysis, and Supply Chain Management to name a few. SAP is among several companies on the forefront of Machine Learning, IoT, and e-Commerce. 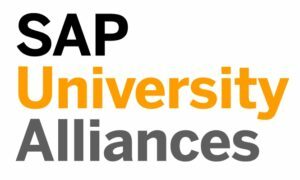 The SAP Club is working with SAP University alliance to bring forth SAP Next Gen Consulting to the Chico State campus. It is an SAP Consulting program to get students gaining experience in SAP Consulting, one of the most in-demand career fields in industry today. The BISSO Program was founded to help address the concerns between the BIS department and our industry partners. This program acts as a student outreach platform with the intention of educating and recruiting prospective students from local high schools and junior colleges into our major. Industry partners have expressed concerns about the shortages of BIS students and the next wave of entry-level positions that they need filled. The Information Systems field is growing exponentially and we aim to meet this growing demand. We are located in Glenn Hall at the Chico State Campus. We meet every Wednesday from 6:30 until 8 in Glenn 304.